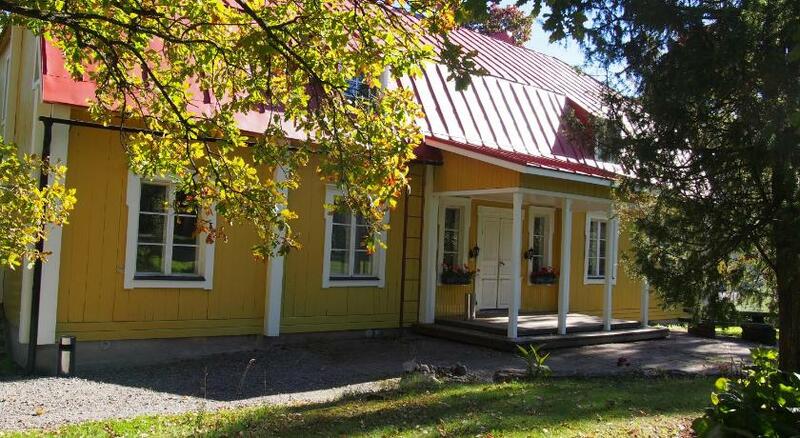 Offering a barbecue and children's playground, Villa Sibbe is set in S?derkulla, 24 km from Helsinki. Free WiFi is offered and free private parking is available on site. Every room at this bed and breakfast is air conditioned and features a flat-screen TV. Some units include a seating area for your convenience. Certain units feature views of the river or garden. Each room is equipped with a private bathroom fitted with a shower. The area is popular for canoeing and hiking. Vantaa is 16 km from Villa Sibbe, while Espoo is 37 km away. The nearest airport is Helsinki-Vantaa Airport, 19 km from the property.